The Mediterranean in Bay Harbor Islands is a true Miami Modern (MiM0) gem built by the architect Herbert Mathes. 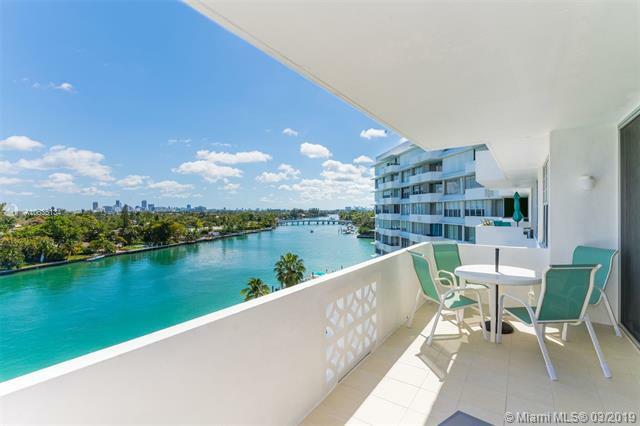 This completely updated corner apartment is considered to be the best line with views of the Ocean, Miami Beach and Downtown Miami. Furnished, light-filled pied-a-terre that features impact windows, updated kitchen and baths, and a storage unit on same floor. Currently, used as a 1 BR + convertible den with 2 FBs, it can easily function as a 2 BR. Building has completed its 50 yr recertification, has new seawall & marina, tranquil bayfront pool area with kayak launch & storage area. 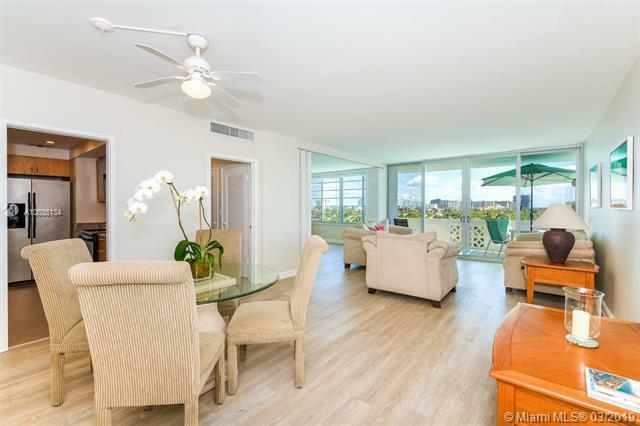 Only a 10 min walk to the beach, Bal Harbour Shops and town center. Equally close to MIA and FLL airports. One of Miami's very few walking neighborhoods with A-rated K-8 school and own police dept.